Most potential car buyers probably don’t have toxic chemicals on their mind when searching for that next new vehicle. Maybe it’s something to consider, because according to HealthyStuff.org, the toxic chemicals given off by parts in a car’s interior could be a danger to your long-term health. Those chemicals have been linked to health problems such as allergies, birth defects, impaired learning, liver toxicity, and cancer. In the Ecology Center’s fourth consumer guide to toxic chemicals, the 2012 RDX and ZDX both tested very low for toxins and were tied for 5th place in HealthyStuff.org’s “Ten Best Picks” list. 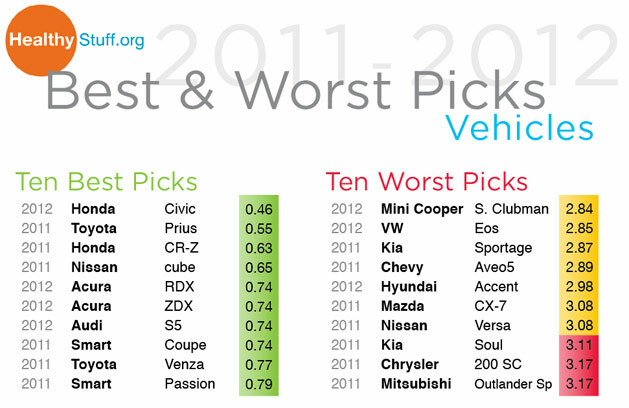 The 2012 TL and 2011 TSX models also received low ratings, making Acura one of the leaders when it comes to “healthy” interiors. The 2011 MDX received a “medium” rating which is considered average, while a recent model of the RL was not tested. Visit HealthyStuff.org for the full press release.